It’s no secret that we think vinyl is the best material for outdoor structures. 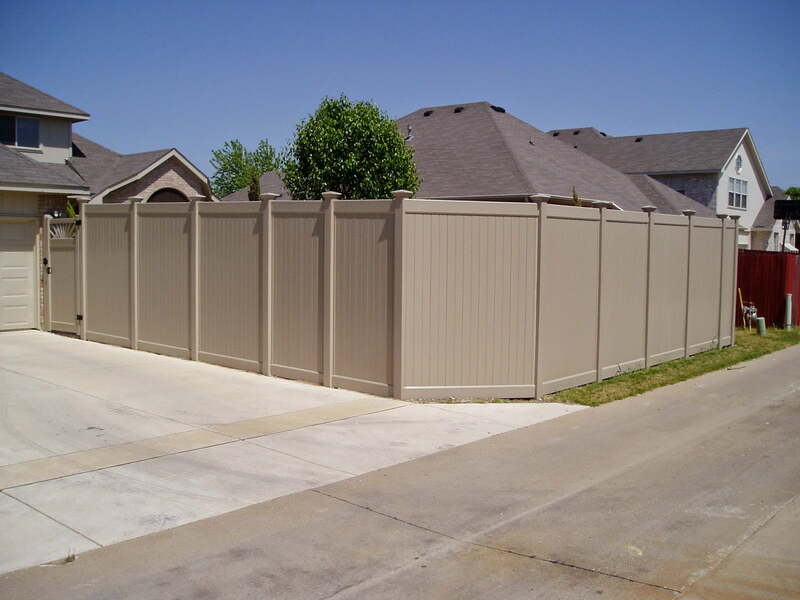 We’ve devoted ourselves to installing vinyl fences, shade structures, and more throughout the Dallas metroplex. But if you’re curious about how vinyl can simplify your outdoor routines and make your home and yard more attractive and inviting, read on. Good fences don’t just make good neighbors – they make good yards, too. A fence is crucial for protecting your yard or garden from animals and prying eyes. If you have a pool, you need a fence to make sure it’s safe. And nothing builds a better fence than vinyl does. Due to their superior strength, flexibility, and weather resistance, vinyl fences simply last longer and look better than wood fences do. And they’re guaranteed to stay strong and functional for years. Anyone who has lived through a Texas summer knows how necessary shade is when you’re outside. But shade structures made from canvas can wear out after just a few seasons, and wooden ones aren’t much better, especially after they’ve seen an ice storm or round of hail. In contrast, a vinyl shade structure will keep its shape and appearance for years without any problem. If your home has vinyl siding or gutters, we can design your shade structure to match, so you get a perfectly seamless, coordinated look between your home and outdoor living space. Plus, vinyl shade structures require very little maintenance – and that maintenance never includes painting, staining, or sealing. You might be thinking that there’s no way a vinyl deck could be as strong as a wooden one. You’ve seen people put holes in their siding with a weed trimmer or pressure washer – how could a vinyl deck hold up to extended use? Though it sounds surprising, modern vinyl is far tougher than wood, even when it comes to hands-on applications like decking and railing. Run on it, jump on it, drag your deck chairs around – a vinyl deck or vinyl patio will take the abuse for years. Plus, because the color of a vinyl deck is part of the vinyl itself, your deck will stay looking like new for years longer than stained or painted wood. It won’t fade, either – Future Outdoors only uses high-quality vinyl produced with a high level of UV protectants. That means your deck’s color will stay bright and clean for years. Want to create an oasis of shade and comfort away from your home? 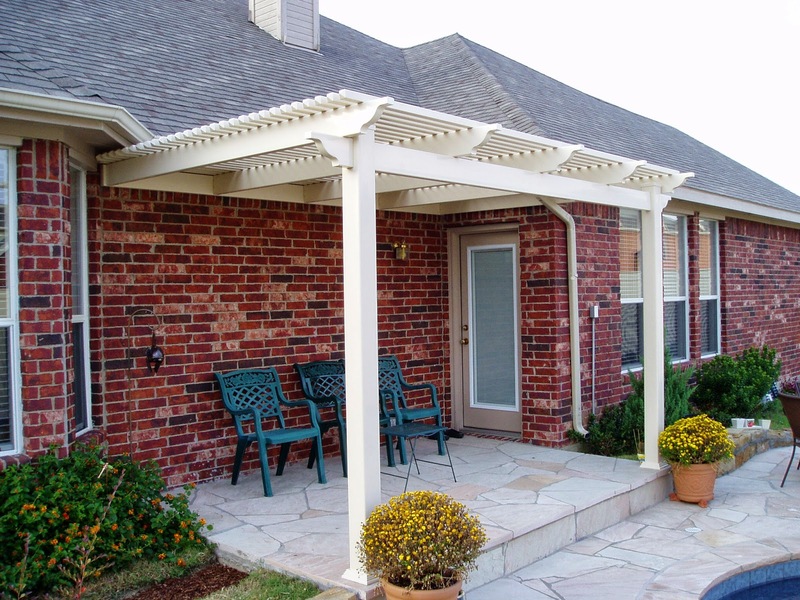 A vinyl gazebo or vinyl pergola could be just right for you. Easily placed in any yard or garden, vinyl pergolas and gazebos provide a free-standing and appealing option for shade, while also beautifying any space they’re placed within. With our gazebos and pergolas we can create any look, from clean and modern to classic and elegant. Like all of our vinyl products, a vinyl gazebo or vinyl pergola from Future Outdoors is almost maintenance-free, extremely strong, and guaranteed to last for years. These structures won’t fade, rust, or rot, making them perfect all-season yard structures or garden fixtures. With these products you can create the perfect look for your outdoor living space and then maintain that look for years with only a small amount of effort. If you want to learn more about the vinyl products we offer at Future Outdoors, give us a call today! We’ll come to you and give you a free no-obligation estimate, and we’ll have your vinyl structure ready to install fast. You can also learn more (and see many more pictures) by visiting our website, www.future-outdoors.com!